A suitable pattern and also the properties of the fabric are vital factors in getting this right. With weinor fabrics, you can create a feel-good atmosphere in your outdoor area. Because their colours remain lastingly brilliant. High-quality pigments are stored in each individual fibre. The result: especially good colour fastness and high UV resistance. This is what makes weinor fabrics stand out from products made by other manufacturers where only the finished yarn is dyed. Other benefits that weinor fabrics offer: they repel dirt, water and oil, provide the best-possible protection from ultraviolet rays and can lower the temperature of the living area. With over 200 fabric patterns to choose from, you’re certain to find one that matches your very own personal taste! What determines whether a fabric keeps its brilliant colour for many years to come is the way it is manufactured. The traditional method is to spin the yarn first and then dye it. This is known as yarn dyeing. 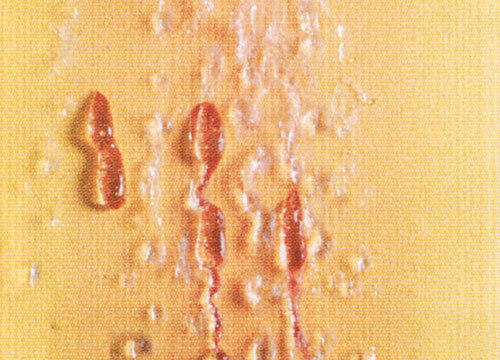 With this process, however, the dye will not remain permanently light-resistant. By contrast, weinor’s fabrics are spinneret-dyed. This means that the pigment is embedded into the fibres during the spinning process. The finished yarn is therefore fully saturated with dye. 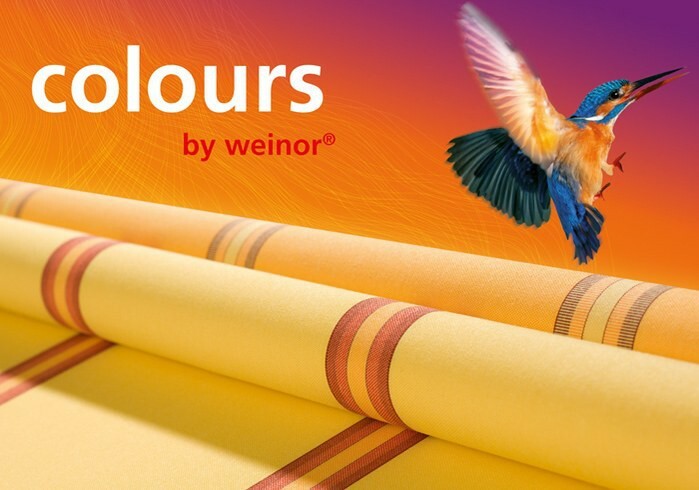 weinor’s acrylic fabrics have been on the market for decades and are the best possible proof that colours can remain brilliant for a very long time. Awning fabrics are technical textiles, they consist of either acrylic or polyester fibre. Both have their qualities. Acrylic is more colour-fast, polyester is more stable in form. The larger the awning, the more important the form stability. If your house is located on a busy street or if there are a lot of trees in the vicinity, you should select dark colours or a striped pattern. This is because residues of leaves, pollen, soot and bird droppings cannot be so easily detected on a dark, multi-coloured surface. Your awning will retain its good appearance longer. The wider the awning, the faster the fabric sags. Therefore, wide awnings should be made of polyester. Polyester possesses a so-called rebound behaviour. The material “memorises” the tensioned condition (“memory effect”) and retains its stability of form. Acrylic is the safer choice if the awning will be frequently used. The colours are maintained in this material for a long time. For this reason, acrylic is used for sun protection in restaurants, on boats or for cabriolet roofs. Please note: to ensure long-lasting brilliance of colour in both fabrics, you should opt for spinneret dyeing (see point 3). Bright, shining colours are classics for awnings. They guard against sun radiation but still let a lot of light onto the patio. But: They are also care-intensive –especially when they are exposed to dust, soot, dirt and leaves. Fashions come and go, tastes change. Why not simply bring some fresh wind onto the patio? With a new fabric, your second living room will shine in a totally different light. We want you to enjoy your weinor fabric for many years to come. The spinneret-dyeing process used on the fabric enables weatherproof pigments to be stored in each individual fibre. This makes the fabric’s base material especially UV-resistant. 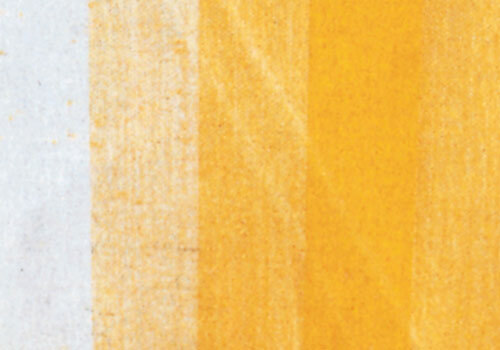 As a result, weinor can ensure that the chosen colours last for years to come, like the fabrics themselves! Over the past few years, weinor has succeeded in minimising fabric creasing. Nevertheless, not even the most meticulous production process can fully eliminate wrinkling and creasing. These in no way detract from the quality of your awning. Find out more about the UV protection our fabrics offer and everything you need to know about self-cleaning and caring for your weinor fabric. Sunshine brings joy and energy. But it can also pose a risk. According to studies conducted by the WHO, we are three times more likely to suffer from skin diseases when exposed to harmful UV rays. Children suffer particularly if they get too much sun. That’s why shade is so important. The fabrics in weinor’s fabric collections enable you to stay outside up to 80 times longer that the skin’s natural protective mechanism could allow. This puts them significantly ahead of cotton clothing and sun blockers. Weinor’s high-quality acrylic fabrics come with one outstanding property in particular: dirt has absolutely no chance. The fabric is impregnated with a protective coating on a microscopic level – so-called Hi-Clean nano-technology – making it dirt-resistant*. The coating wraps around the fabric’s fibres like an invisible protective shield which guards against dirt. The invisible protective coating staves off not only watery dirt but also oil-based dirt. The nature of the surface coating is such that unwelcome deposits simply won’t stick. A simple yet impressive test proves it: if honey is applied to a fabric treated with Hi-Clean nano-technology, the fabric’s liquid-repellent property will cause the honey to form tiny beads. The sticky substance simply cannot penetrate the fabric. 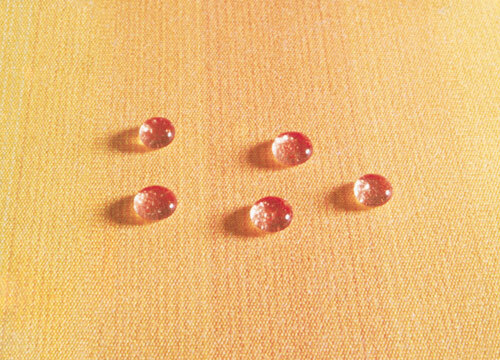 If water is then poured onto the fabric, the honey and water will both roll off the surface of the nano-coated fabric. The result: the fabric returns to its clean state, with no traces of honey to be seen anywhere! Needless to say, the effect can be reproduced with many other forms of dirt. In recent years weinor has managed to reduce creases and folds to a minimum. Nevertheless creases and folds cannot be ruled out completely, even when taking the greatest care during production. However, they never cause any real trouble and do not detract from the value of the awning in any way. The main purpose of an awning is to provide protection from the sun. It provides shade and protection from bright light, UV rays and excessive heat. In addition the shapes and colours of the fabric pattern create a pleasant atmosphere. Despite modern, complex and careful production methods, it is not possible to eliminate minor blemishes in treated fabrics. For this reason such “irregularities” cannot be accepted as cause for complaint. The technical materials we use meet stringent technical standards and are subjected to extensive laboratory tests during production. Recognised measuring techniques are used to check area weight, maximum traction force, maximum traction force stretching, tear strength, resistance to water pressure, water repellent properties, resistance to bleaching, weather resistance, sun energy behaviour and other properties rigorously. are created during manufacture and when folding the fabric. 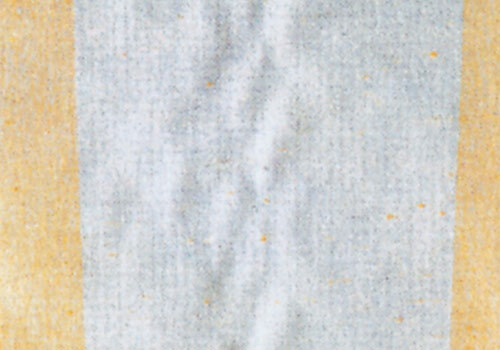 A dark line may be visible where it was folded when seen against the light, particularly with light colours. Awning fabrics are usually made in lengths about 120 cm wide. When sewn together, they form an upper and a lower layer of cloth at the seams and hems. When the awning fabric is rolled, tension is created between these layers of material. Because of the thickness of the material (about 0.5 mm) the upper layer of cloth must travel further than the lower layer – the difference during just one roll is about 3.14 mm. When the whole fabric is rolled up, the seams and the hems are overstretched. 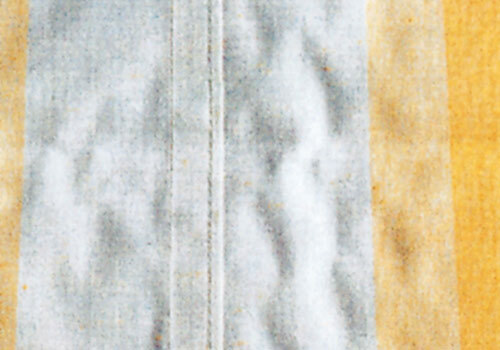 This leads to sagging in this area – ripples are formed in the fabric. This unavoidable effect does not impair the quality, the function or the service life of the fabrics. Awning fabrics are sewn in the direction of opening so that the tension is put on the warp threads. These are woven more closely than the weft threads so as to take up the pulling forces optimally. Depending on the weather and the size of the fabric, this can cause honeycombing. This effect is magnified when the light falls on it from certain angles or in the wet. In order to allow the rainwater to run off, the fabric must be inclined at an angle of at least 14°. This deters the formation of puddles and lines of dirt. Honeycombing can reach right up to the centre of the cloth. This effect does not influence the quality, function or service life of the fabrics. Awnings and conservatory awnings are intended for protection from the sun and should be retracted in the rain. Creases are more likely to occur in fabric that has got wet.